Rush Service : 1 business days - People will feel "elite" when you hand them this awesome giveaway during an upcoming promotional event. Select this pen and highlighter combo. The pen features black ink and colored accents. 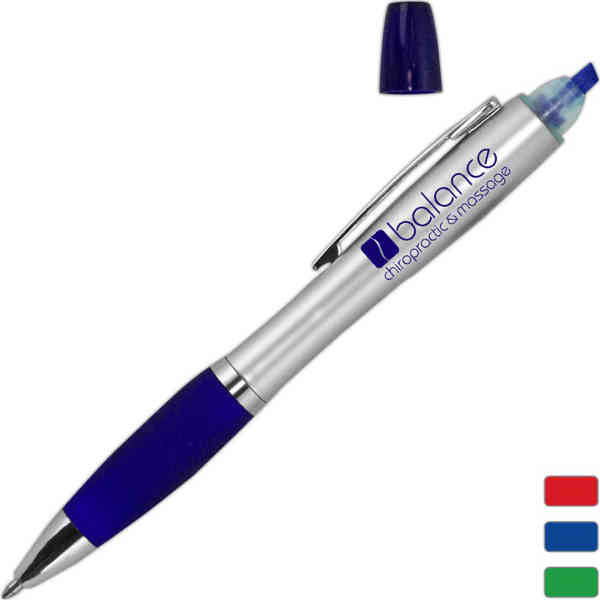 Choose between a variety of bold colors and add your logo for a terrific opportunity to promote your business. People will think of your company every time they sign their name. Make sure customers don't leave empty-handed by ordering yours today! Size: 5 1/4 " x 3/4 "